John helps many people suffering with confidence and self esteem issues in Peterborough. 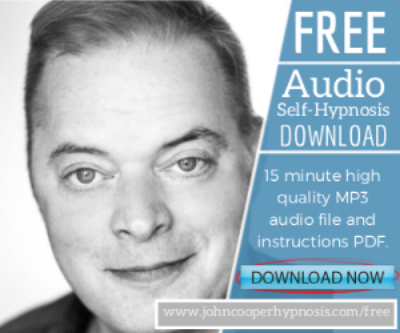 Using a curative hypnotherapy approach combined with advanced NLP coaching techniques he has helped many people overcome their confidence issues and live happier and much more positive lives. Lots of things can happen to make us feel unconfident. If you ask a teenager to sing a song for you they’ll often tell you that they can’t sing. If they do, it’s a safe bet that someone influential in their life has criticised or ridiculed them in the past. Their issues are probably not an objective assessment of their ability, more like a confidence issue. After all, even if you’re tone deaf it doesn’t mean that you can’t enjoy a sing song. We develop low confidence when we fail and don’t pick ourselves back up again properly. Failure is very important, in fact it’s the most important part of learning a new skill, but you need to process it positively. Learn the lessons and you’ll become stronger. If you don’t, there are left over bad feelings and they can easily develop in to an unconscious pattern. Guilt, embarrassment, shame and fear can all breed low confidence. We aren’t born to feel bad about ourselves, we learn it. Just think how many times something unpleasant happened to us as teenagers. The memory of that incident brings a bad feeling whenever we recall it. Before long it becomes a belief and we hear ourselves saying ‘I can’t’ or ‘I’m not good at’ or ‘It’s just the way I am’. We have generalised that incident into the way we see ourselves. We forget the incident but sadly, we are left with the feeling. We feel helpless. Hypnosis takes you back to the root causes of these bad feelings and we change those memories. Trance is very powerful, we can access memories that are unavailable to our conscious, critical mind. We go back to these memories and we remove the emotions. l help you to connect with your innate resources and flood your unconscious mind with positive feelings. Trance allows us to be creative and to accept change more easily. Then you are led to imagine happy future scenarios. I help to re-wire your self-image from the inside out. Instead of replaying those scenes of failure we create new outcomes for ourselves. You start to truly believe you will succeed. That is positive self-confidence. A course of three to five hypnosis sessions will make big changes to how you feel about yourself. It will start you on a journey to well-being and confidence. When you learn to rehearse good feelings, the bad ones fall away.